Home » Blog » Essay Writing Services: Credible Companies or Frauds? Unfortunately, most online essay services are looking to deceive their customers and simply take money without giving decent products back. Most papers made by such untrusted and bad companies are unacceptable and students face even bigger issues while handing them in. Nevertheless, there are a few noticeable things, which can help you identify fraud service. 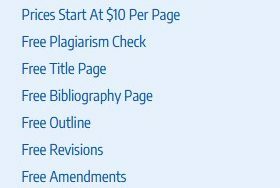 You get low-quality essays for high prices. When you google “essay service” in your browser, you get tons of pages full of various information. Moreover, there are many pages that assure you of the low prices and quality papers in a matter of days. But, most of them just focus on drawing customers’ attention instead of providing them with decent and quality services. In some cases, you may pay up to $200 for one paper that was made without following the guidelines. Multiple investigations proved how such services are incompetent. Young students cannot understand how to identify decent essay service, especially if they haven’t use it before. However, you can read the reports made by professionals and even professors who personally wasted their money and time just to check how reliable writing services are. The main point of these experiments was the same: most services are failing to provide students with good papers, violating the ground rules, structure, and guidelines. No guarantees for customers at all. 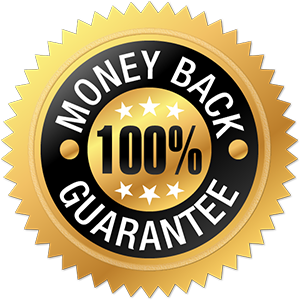 If you order a paper from any online essay company, they must give you a 100% guarantee of a refund, provide you with support assistance, and give you contact details of your personal writer so you would track the whole process. In most cases, essay service webpages don’t have ‘Term of Use’ pages, do not mention guarantees, and do not have support teams. Plagiarism as the most important issue. Of course, if you are ready to buy a paper, you want it to be 100% plagiarism free and unique. However, most companies simply provide students with works of other people without their permission by violating copyright law. Support Team. As it was mentioned above, the support team is a very important part for credible companies. They are looking to provide all customers with any information before and after the order. They always contact you if there are any changes or your writer has some issues with a paper. Scammers don’t have support teams. They never contact their customers and can simply disappear in a few days. SSL Certificate is never used by scammers. Scam companies never use SSL certificates, and this is always a reason not to use such website. You can easily check it to find out whether this online service is reliable. Even though written assignments in universities and colleges are hard to complete, students must always remember that relying on someone’s help is not effective. In spite of the fact that the Internet is full of scammers and fraud online services, there is still a chance to find a reputable online company and buy its services. The essay writing business is highly increased in recent years, mostly because of a huge demand from young people to avoid writing tasks, and also the number of professional writers who are capable to create quality papers for money.